Parkinson's disease is a progressive nervous disorder and it gradually affects one’s movement. Usually, it starts with a slight tremor in one of the hands. The tremor is hardly noticeable at the initial stages, while the disease causes stiffness or slows down movement at advanced levels. The symptoms of the Parkinson’s disease gradually worsen with time. Initially, your face may not show any expression nor your arms will swing involuntarily as you walk. After the disease has taken a good grip on you, your speech may turn slurred or soft. Parkinson’s disease (PD) is said to be the breakdown and death of fundamental nerve cells in the brain. Some dying nerve cells even produce a chemical that sends messages to the part of the brain that controls movement. However, the exact causes behind the progressive loss of nerve cells are not known. An uncontrolled shaking of legs and hands. Inflexibility of stiffness in your muscles. A physical imbalance that increases the chances of falling. Anosmia or lose the sense of smell. In addition to the problems mentioned above, a patient suffering from the Parkinson's disease is also expected to be a victim of mental depression and anxiety. At Age Well Clinic, we provide end-to-end services for different levels of elderly care that a patient needs at the Parkinson's clinic. Prevention strategies, risk assessments and tools are used since they are more efficient to prevent a disease from developing further than trying to treat it after it has already progressed. However, when the diagnosis of a disease has been done, our team will do everything to treat the symptoms and prevent them from progressing further, thus improving the emotional health and well-being of every individual. Different medications and advanced treatments including surgery are there to treat the symptoms of Parkinson’s disease (PD) though none of them can reverse the effects of this disease. In addition, the effectiveness of the drug treatment L-DOPA can wear down over time and when using it for a long time, it may cause involuntary twisting movements of legs, arms, or face for some people. At Age Well, we offer a multidisciplinary method for treating various symptoms of PD. Our doctors use state-of-the-art technology like PKG to monitor and treat symptoms and complications of PD effectively. Cognitive dysfunction is often an important feature of PD that takes place at the early stage of the disease. We will assess the severity of cognitive insufficiencies in people who are suffering from PD. This will enable us to provide an early diagnosis of cognitive impairment and then deal with it. We also provide genetic screening and counselling for the known genes that are associated with the familial forms of Parkinson’s disease treatment in London. Unparalleled treatment expertise: Parkinson’s is a medical condition, which can’t be cured. But an expert doctor can definitely help you manage the problem better. 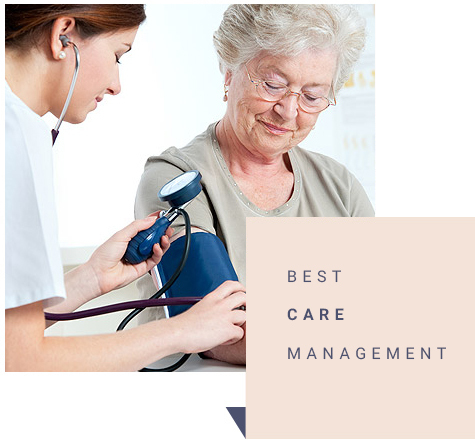 At Age Well, our doctor will provide you with a customised treatment plan based on your age, the severity of your condition and the other medical complications that you may be suffering from. In-depth experience: At Age Well, we possess the expertise in handling Parkinson's disease cases. Our doctors are specially trained in evaluating movement disorders resulting from problems in the nervous system. At Age Well, we’ve several options to treat Parkinson’s disease, ranging from deep brain stimulation to medications.